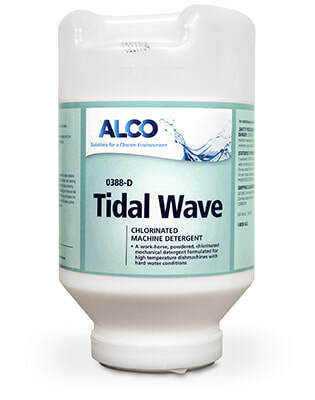 Alco Tidalwave - Alco-Chem, Inc. Heavy duty, powdered encapsulated mechanical dishmachine detergent fortified with water conditioners and sequestering agents. Use in hard water conditions.